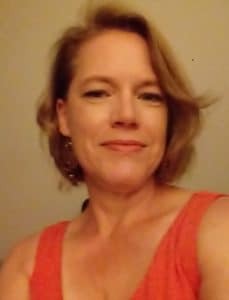 WeCo’s founder and president, Lynn Wehrman, began WeCo after working as one of the country’s first government digital communication specialists. WeCo President and founder Lynn Wehrman is known and respected for her unique talent of solving the accessibility challenge. Wehrman’s extensive background in technical writing, training and web design combined with the experience she gained as a Federal Program Coordinator and Americans with Disabilities Act Accessible Communication Specialist for the Minnesota Department of Transportation, was the perfect skill set required to build a company focused on making the world more accessible for people with disabilities. 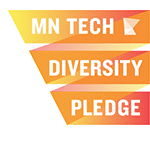 “When I began working on the Minnesota Department of Transportation’s accessibility web pages I observed how challenging it was for our customers to access many websites with assistive computer technology. The scope of how many people were affected by inaccessible electronic information was overwhelming to me. As the project progressed many of the customers I worked with shared that they felt I had the capability to truly understand their needs and translate this understanding into useful web design. It was then that I realized I was being guided to do this work. Living with a disability myself has only made the work WeCo does more meaningful,” says Wehrman. To this end, Wehrman’s can-do attitude and energizing drive attracted only the best to form WeCo. 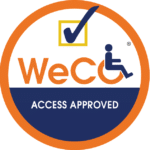 WeCo Accessibility Specialists will assist in solving your website’s accessibility. Contact us today!